This tour was created to celebrate the centenary of women's suffrage in 2008 but interest in the role women have played in these places will endure for many years to come. An ipod tour is available. 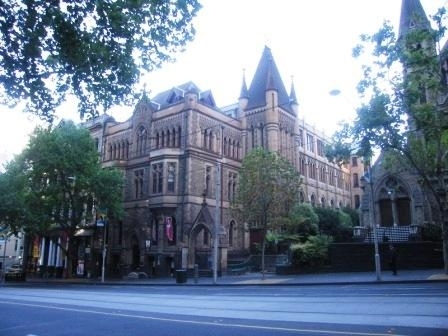 This version of the tour uses photos and information adapted from the original walk created by the National Trust of Australia - Victoria. For fuller description of each site, please visit the link above. 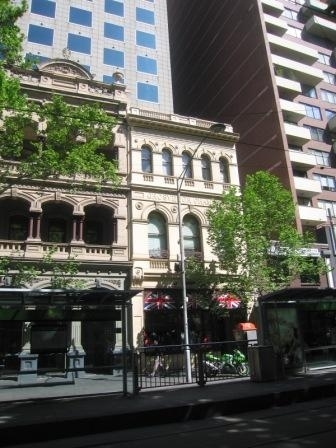 This walking tour will encourage members of the community to visit and appreciate a range of sites where women played important or notable roles. 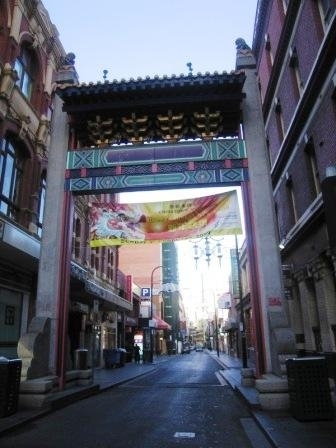 The role of men in the history of the places in the walking tour is well-known, but in many cases the role of women in the history of these places is less-known or not known at all. This tour consists of a variety of women?s places, including places or objects designed or commissioned by women; places where poor and marginalised women found themselves; and places from which women were able to reform or contribute to society in many ways, for example, as politicians, feminist lobbyists, doctors, artists, actresses and singers. 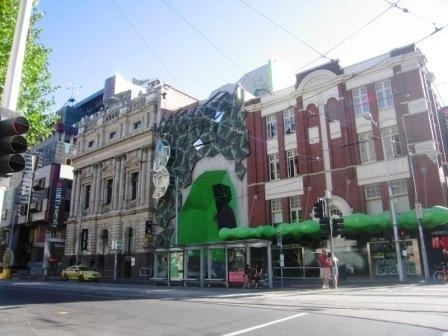 In this two-hour walk only some of the significant women?s sites can be taken in but they are among the most significant and interesting sites associated with women in Melbourne. The places you will see will deepen your appreciation of many aspects of the journey women have made from the late 19th century to achieve a more fulfilling role in their lives. The terrace is the headquarters of the National Trust. It comprised important boarding houses from the 1870s. Managing a boarding house was one of the few employment options available to early women. This artwork represents a giant petition with 30,000 signatures offered to the Victorian Parliament in 1891 as evidence of widespread support for equal voting rights for women. 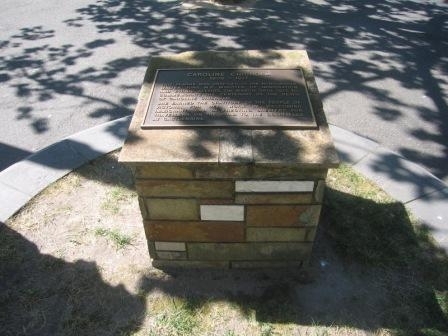 Commemorates the centenary of the death of philanthropist Caroline Chisholm, who served the community by welcoming immigrants and building shelters for travellers to the goldfields at Castlemaine. 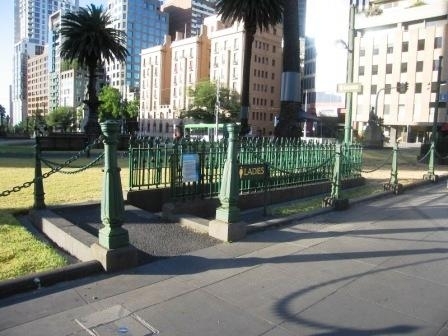 The toilet is one of 11 erected by the City of Melbourne between 1902 and 1939. The group is now unique in Australia. Victoria was last to grant women suffrage in 1908.A plaque in the garden honours Vida Goldstein,pioneer suffragist and first woman in the British Empire to stand for election to a national parliament. Sitting over the main entrance are 2 classically inspired figures draped in robes. The female statue on the right represents Peace, while the male figure on the left represents Plenty. 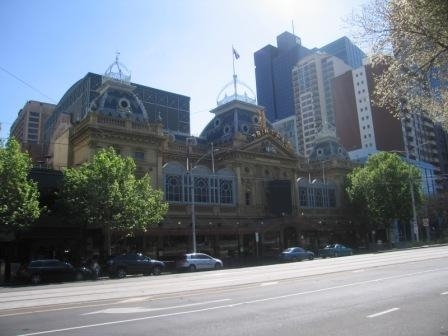 The Lyceum, the famous professional women's club was a purpose-built place, created by and for women, in Victoria. This building was erected specifically as artists' studios. 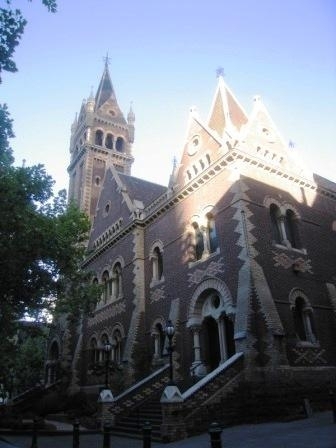 Amongst other women who had a studio here, Jane Sutherland was regarded as the leading woman artist of the Heidelberg School. 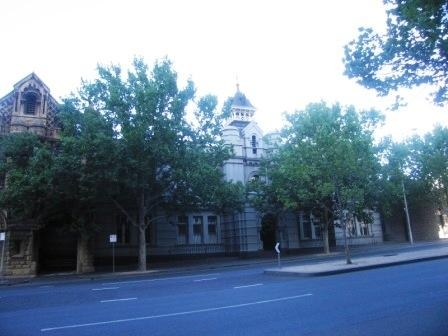 The Women's Christian Temperance Union was the largest and most influential of the various women's organisations in Victoria in the late 1890s. 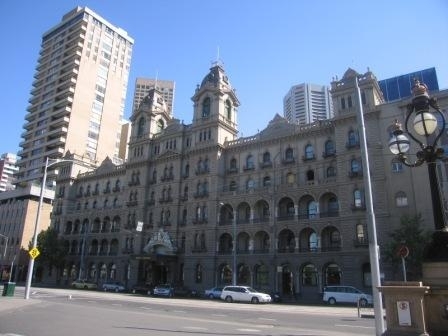 Established in 1838, the Melbourne Club is Victoria's oldest institution. Women are excluded from membership of this bastion of conservatism and one of the most exclusive organisations in Victoria. 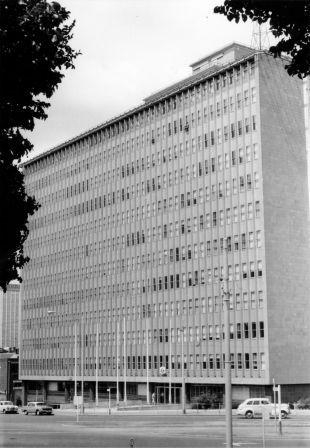 The National Council of Women, based here for 2 decades effectively lobbied for legislation and representation on all boards and committees relating women and children's welfare and legal rights. 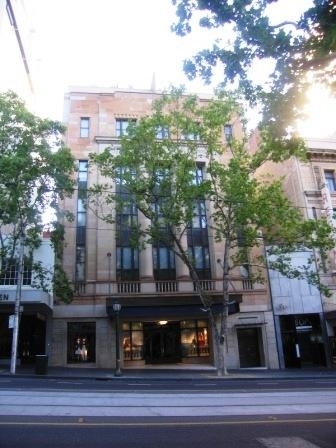 Founded in 1903, this is one of Australia's longest established and exclusive clubs for women. Members include Dame Elisabeth Murdoch, community worker and women's rights activist Beryl Beaurepaire. 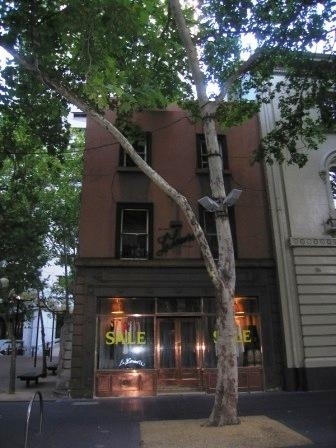 Formerly a boutique by Lillian Wrightman promoting high fashion European designers. 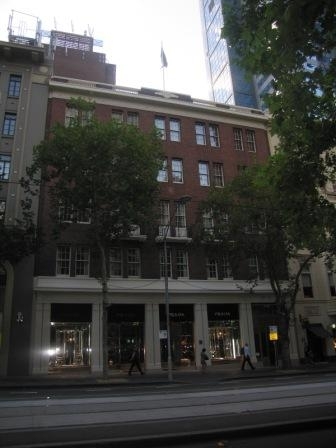 The boutique played a role in establishing Melbourne as the fashion capital of Australia that it has become today. 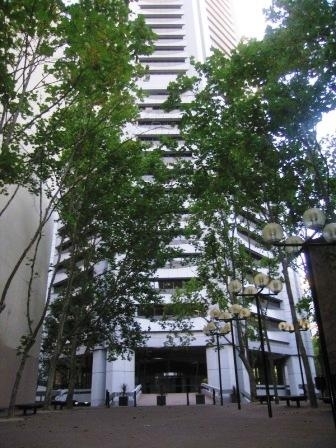 The Australian Conciliation and Arbitration Commission was located here from 1979 - 2006, and women campaigners for equal pay re-enacted the 1969 chain up demonstration at the site on 31 October 1985. Women have been part of the congregation since its opening in 1867. 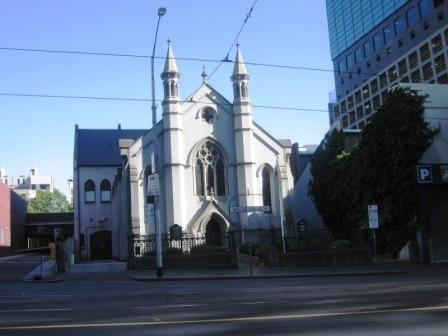 The Uniting Church has allowed female ministers who serve in parishes, and some females have been Moderators. Thousands of women worked in the rag trade and endured poor working conditions such as long hours and low wages. Few buildings of the textile and clothing industries remain. Rosati's is one of them. 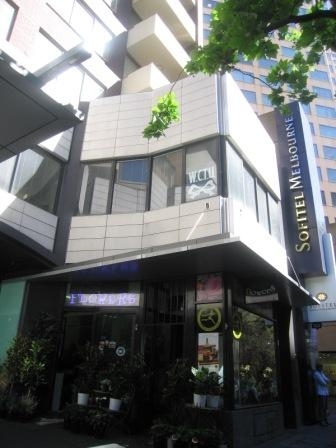 The city meeting place for many women's reformist groups. 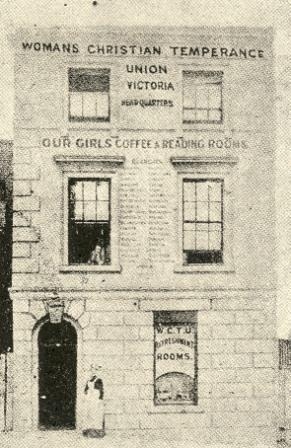 WCTU's first headquarters at 28 Russell St was where girls from nearby workrooms could get cheap good meals. 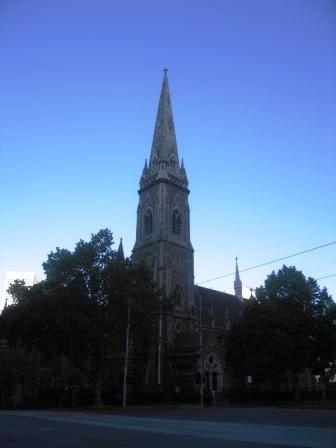 Dame Nellie Melba sang in the church choir as a child. When she died, the funeral service was held here. Women have been members of the congregation since 1874 but cannot serve as ministers. 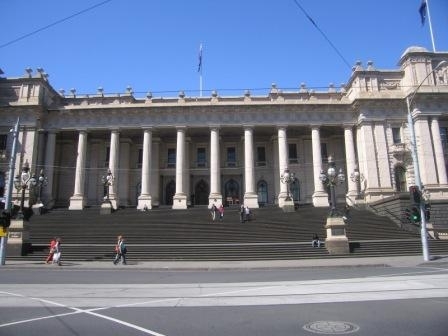 Used for the Women\'s Parliament, which was conducted on parliamentary lines with a ministry and political parties and provided useful training in public speaking and parliamentary procedure. Once home to the Theosophical Society. Many women have been members of the society, and have been elected president over the years. 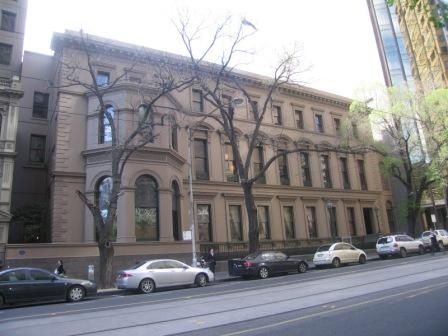 The current Theosophical Society building is at 126-28 Russell St. The talented artist Clarice Beckett had large yearly exhibitions at the Athenaeum from 1924 until 1932. 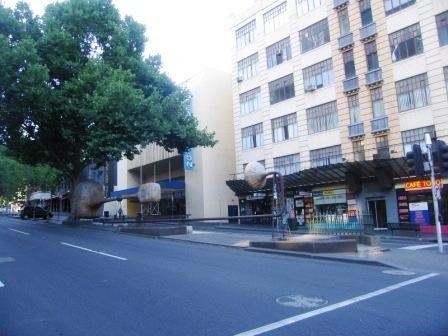 The building\'s facade contains a statue of Minerva, patron goddess of wisdom. 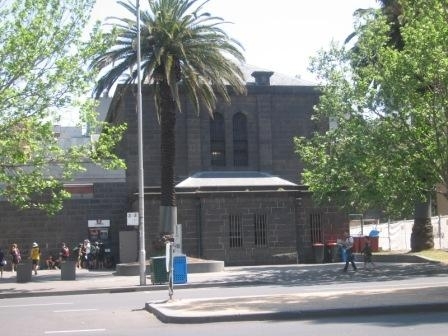 Built in 1902, this was the first such toilet built as a result of the lobbying by many women, including members of the Womens Political and Social Crusade. 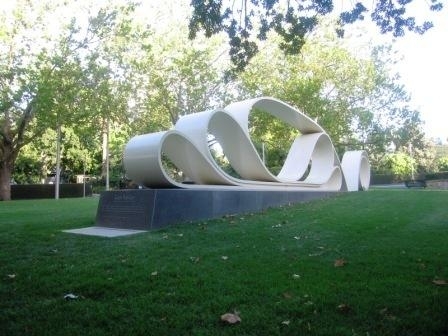 It is now under the sculpture at the site. 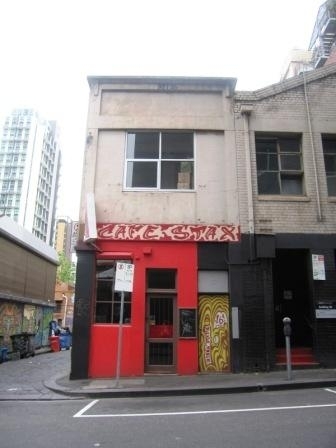 An early centre for prostitution and poverty, the Salvation Army established a hall in Little Bourke Street to do battle for the souls of prostitutes and larrikins in the 19th century. 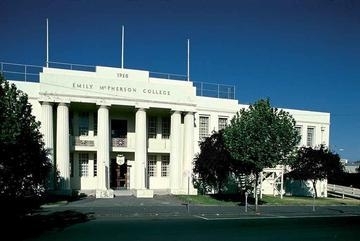 One of only 3 hospitals in the world to be founded, managed and staffed by women. 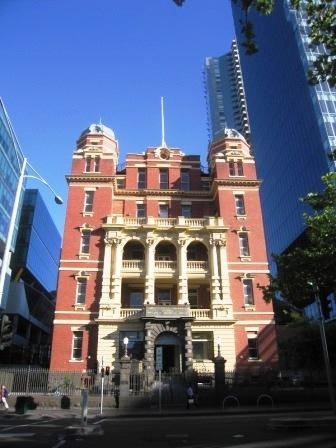 It was Australia\'s first female medical service, established by Australia\'s first female doctor in 1896. 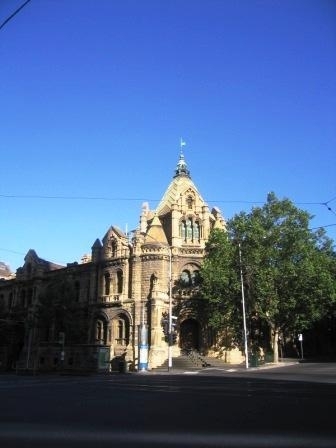 Helen Garner wrote her well-known novel 'Monkey Grip' at the library. 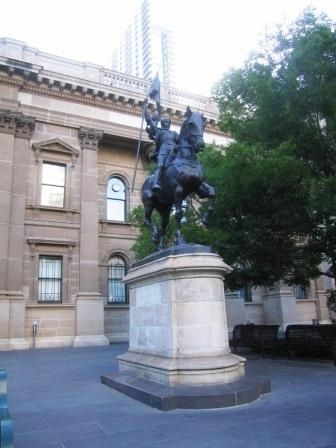 In the forecourt is the statue of Joan of Arc, the national 15th century heroine of France and saint of the Roman Catholic Church. 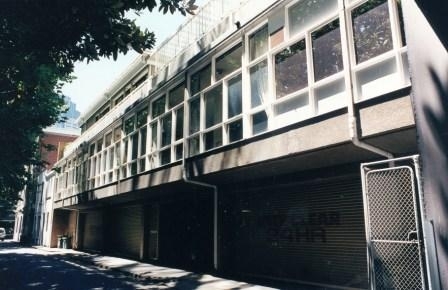 Various women's organisations rented the premises, including the Women's Peace Army associated with Vida Goldstein. Purple and green are colours of the Irish and early feminists who once occupied it. Feminists from the Women's Liberation Movement Centre produced a newspaper Vashti's Voice, which promoted women's rights such as equal pay and abortion. 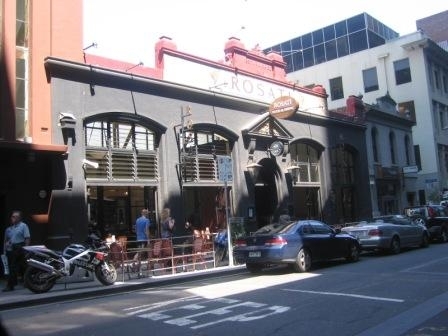 The first free dispensary for women in 1896 was set up here. In the first 3 months the clinic treated 2,000 women and children. This led to the establishment of the Queen Victoria Hospital. 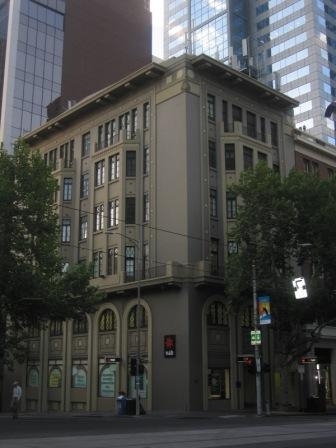 Established in 1882, the organisation provides housing services, job placement and mentoring for many women. Inside is a plaque acknowledging Alice Henry, pioneer journalist and unionist. Established to improve the domestic skills of women at a time when there was a push for 'scientific' mothering education, also when a young woman's access to secondary education was limited. Ned Kelly's mother, Ellen, was a prisoner in the women's cell block when Ned was hanged in 1880. She was in trouble for aiding and abetting Ned and charged with attempted murder. The first prisoner here was Beatrice Phillips, who was charged with indecent language. The National Council of Women and WCTU successfully lobbied to improve some conditions for female prisoners. Jennie Baines was sentenced to 6 months' jail for repeated violations of the War Precautions Act in 1919 for flying red flags. She went on a hunger strike and was released after 4 days. 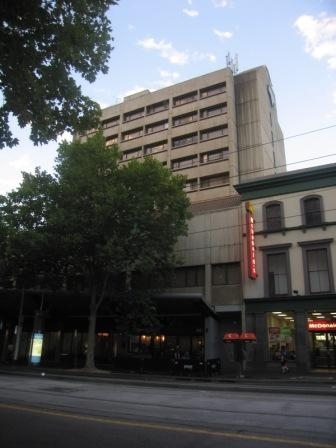 On 21 October 1969 Zelda D'Aprano, a feminist crusader chained herself to the Commonwealth Building (known as the 'Green Latrine', now demolished) until she was cut free by the Commonwealth police. 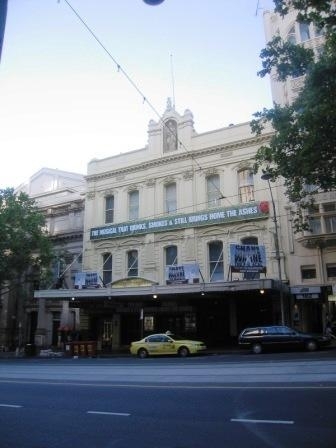 Many famous actresses have performed at the theatre, including Nellie Stewart, Sibyl Thorndike, Marlene Dietrich and Marina Prior. Nellie Stewart, who starred in the first performance of 'The Mikado'.